To put your thoughts into words seem easy, but writing is different from ordinary language. It requires a well though out sentence with proper grammar and subjects that agrees with the verbs. This then would need much time for a writer to organize his thoughts before he puts it into writing. Time management is deemed significant in following the writing process as it will affect the final product. 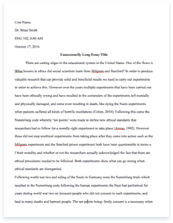 Writing itself is a tedious process that needs research, outline and a thesis statement that helps in guiding me as I write my paper. Careful research, citation and paraphrasing are needed for me to avoid plagiarism. This is the ultimate crime in writing. Plagiarism in not limited to written text alone, it also includes borrowing ones thoughts (Darling, 2006). Furthermore, I learned that content refers to the facts that I present in an article while organization is how I present it. Now organization can either be deductive or inductive where I move from one idea to another. How I resent the content is of uttermost importance in an article for my readers to fully understand my thoughts. Style on the other hand is subjective. It is my personal touch. It is how I string words to form my thoughts, a clear reflection of who I am. However this only holds true in write ups that allows for creativity. Articles that needs to be formal limits my style and my use of words. In connection to what I have stated above, style they say is a gift. Thus we come to the saying that “good writers are born, not made”. However, I beg to disagree with this. Writers are products of who they read, what they read and when they read them. I believe that creativity is subjective and that we all are capable of writing good articles as long as we take the time to learn how to write properly. Since proper grammar is the most basic skill in writing, we are all capable of learning this as long as we have the right kind of education. Every artist has their inspiration in their works, that’s I hold on to the premise that writing is for everybody. Those who excel in writing simply took the time to learn how to right properly and went an extra mile to learn the art of creativity.